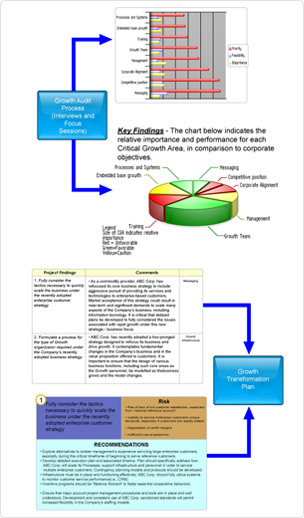 The initial step requires a "business development benchmarking assessment" to be performed. This is called our Growth Audit. It provides the basis for development, prioritization, assignment, and execution of a "BD" action plan. Achievence will interview designated executives and partners. Achievence will also review all associated collateral materials, agreements and proposals. Achievence will also review current strategies to sell our clients unique offerings to new customers. We will also begin a forecast and reporting process outlining and prioritizing the activities to be completed during the next months. Suggestions for improving the effectiveness of existing forecasting and pipeline management system as well as recommendations for core components of a new systems if necessary. Suggestions for structuring existing managing director roles and responsibilities to ensure BD effectiveness in support of overall corporate goals. Suggestions for improvement in the format of proposals and post sales and BD call presentations including Partner/Alliance proposals and RFPs. 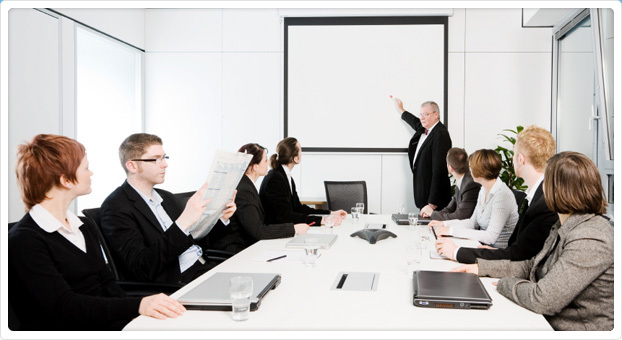 Management debriefing sessions with designated executives. The components of a BD strategy plan for meeting near-term corporate revenue objectives including Demonstration of Value, Prospect Universe, BD team design, channel and alliance structure, training and growth team development. Training deliverables including session documentation and actual examples of applied process to existing prospects (BD Manual).